The Wesleyan Argus | It’s As Easy As 1, 2, 3, (4): Cake! It’s As Easy As 1, 2, 3, (4): Cake! Here’s the thing about me: I am an abysmal baker. I burn cookies, I accidentally substitute salt for sugar, and I have sliced my finger with a bread knife more times than is really reasonable for a 19-year-old. Nine times out of 10, I will choose the lackluster selection at the Usdan dessert table rather than risk the pain and fire hazard of making my own baked goods. So when I say a recipe is hard to mess up, I mean it is HARD to mess up. Mediocre chefs of Wesleyan, this one’s for you. I first learned how to make a 1-2-3-4 cake from my grandmother (who, unlike me, is fantastic at baking). It gets its name from its original recipe: one cup of butter, two cups of sugar, three cups of flour, four eggs. That recipe, while pleasingly simple, is not particularly tasty, and the addition of milk, baking powder, and vanilla gives the cake a better flavor and a moister, fluffier crumb. 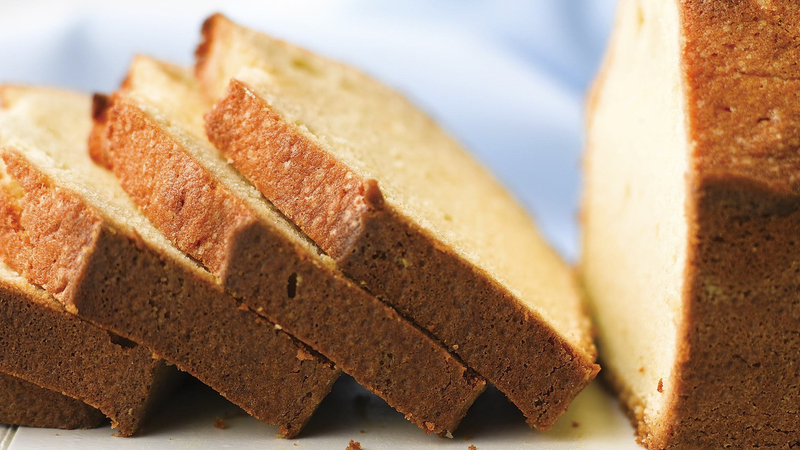 The end result is essentially a slightly lighter pound cake, and while it tastes perfect by itself, it can also be endlessly customized with chocolate chips! Cinnamon! Cranberries! Preheat oven to 350°F. Grease a 9 by 13 inch cake pan with cooking spray or vegetable oil. Combine sugar and butter in large mixing bowl and mix (ideally with an electric mixer, but this is college and you can make do with a spatula) until fluffy. Add eggs to mixing bowl one by one, mixing each egg into the batter fully before adding the next one. Sift flour and baking powder together in a separate bowl (this will ensure the baking powder is mixed into the rest of the batter evenly). Add baking powder and flour to mixing bowl. Add the flour one cup at a time, mixing the batter thoroughly before adding the next one. Add milk and vanilla extract to the bowl. Mix the batter until it is smooth and even, and then mix it a little bit more (make sure to scrape the bowl with a spatula to stir in any ingredients sticking to the sides). Pour batter into greased cake pan and bake for 50 minutes or until an inserted toothpick comes out clean. Now in order to explain why this recipe is so miraculously foolproof, I have to talk about the chemistry of cake batter (I might hate baking, but I love science). In most cakes, the order in which the ingredients are combined is extremely important to the success of the cake. Most cake recipes (including this one) start by combining sugar and a solid fat like butter in a process known as creaming. Creaming incorporates small air bubbles into the batter that then expand in the oven and cause the dough to rise, a natural form of leavening. Adding eggs immediately after creaming makes it easier to emulsify the batter (i.e. smooth it out), while adding flour immediately after creaming will coat the flour particles with fat, creating a cake with an extremely fine crumb. Adding liquid ingredients (eggs, milk, water, etc.) to the flour before adding butter can result in too much gluten development in the batter and a tough, dense cake. There are infinite ways to mess up a cake by combining things in the wrong order, which is why it’s crucial to follow recipes closely. So, in general, it’s crucial to follow baking recipes closely, but not this one. After years of baking the 1-2-3-4 cake, I have found it remarkably—almost supernaturally—resistant to failure. Did you forget to sift the flour and baking powder together? Not a problem. Added milk too early? Should be fine. Lost count while cracking eggs and now you’re not sure if there’s three or five in there? Don’t worry about it. In fact, if you’re feeling particularly lazy you can ignore my recipe, dump every ingredient into a bowl, and mix them all in one go—a strategy that should logically result in a lumpy, dense disaster of a cake—and the end result will turn out remarkably well. I have made all the mistakes I just listed and more, and I have yet to see the end result turn out badly. I can’t explain how or why this recipe defies all known laws of chemistry and baking (I think it might be actual witchcraft), but I can promise you that no matter how bad you are in the kitchen, it’s worth a try.